PICKERING, Ont. -- With the legalization of recreational cannabis now months away, Ontario's incoming premier said he wants to consult further with municipalities, stakeholders and his caucus before deciding whether to change the plan laid out by his predecessors for the sale of marijuana. But when asked about his plan for pot sales on Thursday, Ford said he's focusing on the Liquor Control Board of Ontario, which he said already has infrastructure in place that would allow it to sell marijuana once it becomes legal this fall. "What I said is I'd be focusing on the LCBO. I'm private sector, I don't believe government should stick their nose into everything, but again, this is a path we have never went down," he said. "We're going to tread carefully on this and we're going to consult with the local municipalities and we're going to make a decision after we talk to caucus." The Progressive Conservatives say when the premier-designate talks about focusing on the LCBO, he's referring to Ontario Cannabis Stores run by the LCBO, as the outgoing Liberal government planned. 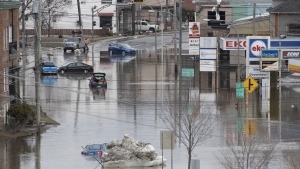 "This is a path that the federal government has dumped on all the provinces," he said. The federal government announced this week that Canadians will be able to legally purchase recreational marijuana starting Oct. 17. Prime Minister Justin Trudeau said legalization was pushed back at the request of several provinces who sought more time to make the transition. Preparing for legalization is a complex undertaking and it's the prerogative of a new government to reconsider how to do so, said Ivan Ross Vrana, a consultant on the cannabis industry with Hill & Knowlton Strategies. 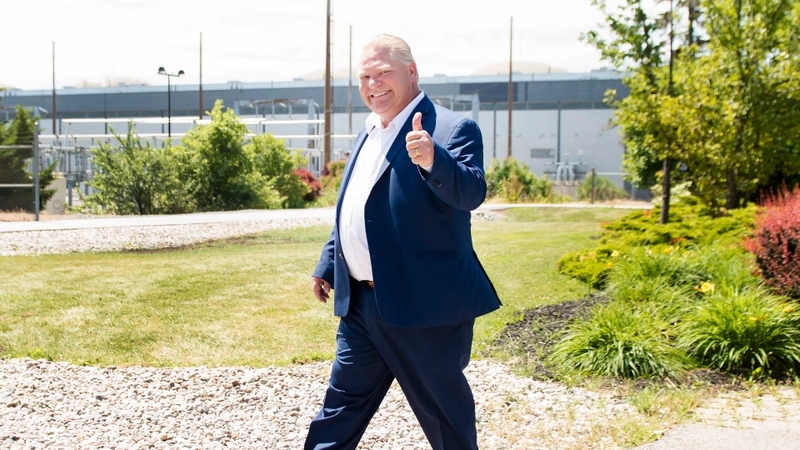 Ford will have to get up to speed with the work that's already been done by Ontario bureaucrats and what's planned in other provinces, he said. "With this file I don't think anything is simple, it's really complex, but having said that I think people do know that this has been coming, I think there's public officials, civil servants, people at the (Ontario Cannabis Store) that have been working on this for a while," Vrana said. While it's not necessary to work out every detail by October, Ontario must have some sort of retail system in place by then to meet consumer demand, he said. "The stated goal for everybody -- whether it's federal, provincial or municipal -- is to ensure that we can tackle the illegal market and the best way to do that is to ensure that there's access for consumers," he said. The New Democrats, who had criticized the Liberal plan for what they deemed to be an insufficient number of stores, said the premier-designate "needs to show Ontario a plan that fixes the one (former Liberal leader) Kathleen Wynne messed up." "As Ontario's official Opposition, we will work closely with municipalities, stakeholders, and community members to push the Ford Conservatives to roll out legal cannabis sales in Ontario in a way that promotes social responsibility and community safety, while effectively ending demand for illegal sales," New Democrat Gilles Bisson said in a statement. The Green Party, meanwhile, said the province should adopt a model similar to the craft brewery industry, in which small businesses and dispensaries would be regulated to sell cannabis.